Over the last 6 years, we have experienced strong price appreciation which as increased home equity levels dramatically. As the number of "cash-out" refinances begins to approach numbers last see during the crash, some are afraid that we may be repeating last decade's mistake. 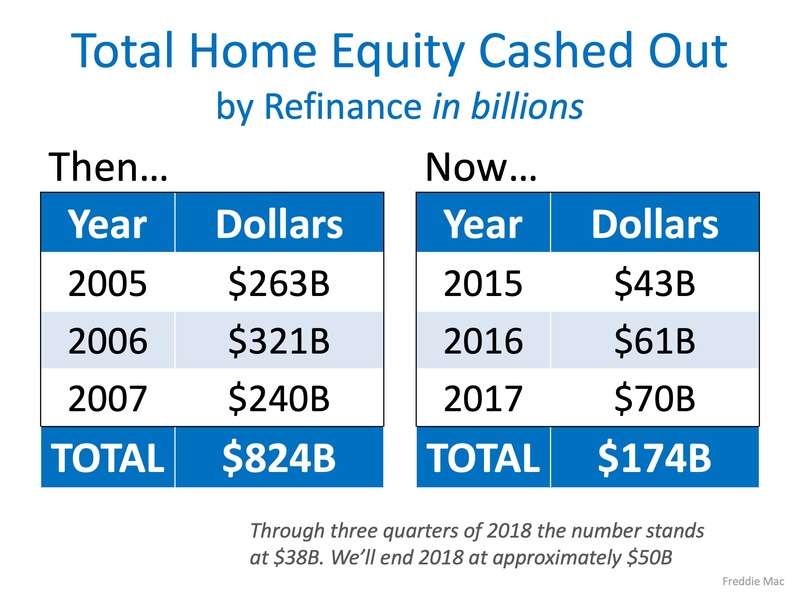 However, a closer look at the numbers shows that homeowners are being much more responsible with their home equity this time around.